Police say Alexander Pettygrove of Phoenix died from gunshot wounds. 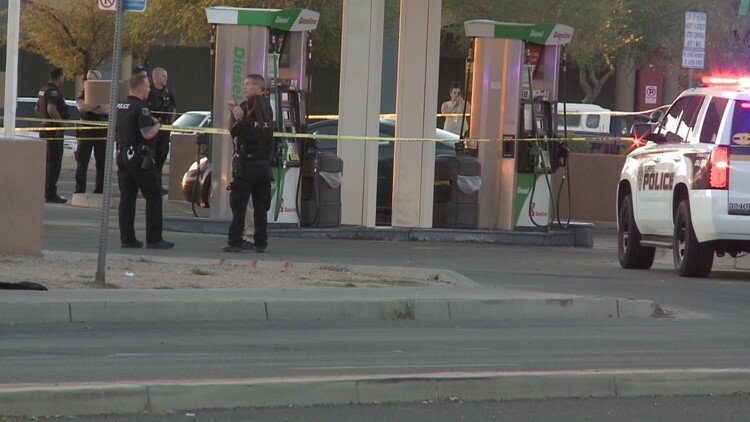 PHOENIX — An 18-year-old man has died following a road rage shooting in Glendale Saturday afternoon. Alexander John (AJ) Pettygrove of Phoenix died at the hospital from gunshot wounds he received during an altercation with a driver near 67th and Peoria avenues. Another 18-year-old man who was in the car with Pettygrove is recovering and is expected to survive. According to the Glendale Police Department, a man pulled up his car next to the car Pettygrove and his friend were in and a verbal fight began. Police say Pettygrove threw his drink at the other car and the driver responded by firing several rounds striking both of the teens. "An 18-year-old boy. There's no excuse for that, there's no reasons for that," AJ's father, Paul Pettygrove said. 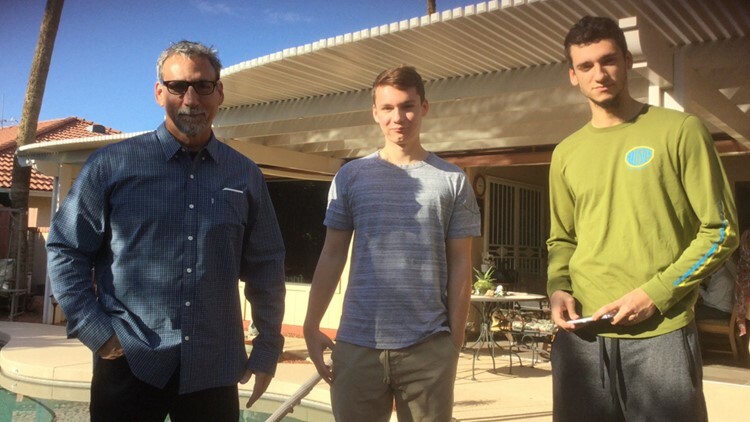 AJ Pettygrove (middle) pictured with his father and brother. AJ's friend Sam Luviano was also in the car. He was shot in the leg and survived his injuries. Luviano said the shooter got mad because AJ almost cut him off. After the shooter was upset, AJ rolled down his window and said he was sorry to the shooter. "The guy's like 'no dude you just came over here to cause problems with me,' and AJ's like 'dude, we can settle this outside,' and the guy's like, 'I don't do that, only shoot,'" Luviano said of the interaction. "AJ reacted by throwing him a drink, and the other guy reacted by spraying us with bullets." "The next thing you know, he got shot five times, and then the next thing yo know, he got shot in the head," Paul Pettygrove said. "It tears a family apart and crushes your heart." The suspect, who police describe as a man in his 20s or 30s, fled the scene. He was driving an older model of a small-sized dark blue SUV. "It's a disturbed person, there's a lot of them out there and like I said before, I'm sorry for all these other families that have to go through this type of thing," Paul Pettygrove said. "It's just not right." Police ask any information regarding this incident to please contact the Glendale Police Department at 623-930-3000 or Silent Witness at 480-WITNESS.